Here is a small video of a group drumming in Galway in February 2018. Workshops are available for all groups, community events, parties, functions and festivals nationwide. We are currently running a Community Spirit Drumming Program for people with disabilities. Its all about Ability Really as well as Participation and Inclusion. 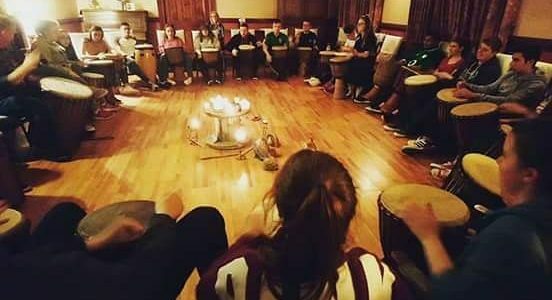 This was a drumming workshop for a youth project day in Renville Park, Oranmore. This was a very popular drumming workshop and we all joined in together to create music through amazing rhythms. If you have a youth day project coming up, call us for a drumming workshop.